If you’re moving to Dubai, one of the first things you need to do is make sure you have air conditioning in your new home. You don’t want to take your chances with the heat here. To do that, you’ll need to find a good AC company in Dubai. There are a few questions that you should ask to make sure you’re getting the best service. Read on to find out what to ask. 1. What’s Included in the Quote? It’s important to be clear on this. You don’t want to be blindsided by an additional cost when you thought it was included in the quote in the first place. When you have your initial phone call with an AC company in Dubai, ask the representative to spell out exactly what’s covered in the quote they give. Then you’ll have the information you need to make an informed choice. 2. What Manufacturers Do You Use? Getting air conditioning installed might seem like a cut-and-dry process. You call a company, they install a unit or system that helps your house cool down, and you’re done. However, there are dozens of different options available, and not all of them will work best for your house. Do your research to determine what type or model will work best for your home. On the call, you can ask the company if they carry the same or similar models. The answer to this question should, of course, be yes. You don’t want to be responsible for any costs if a worker is accidentally injured on your property. Basic insurance should cover general liability issues and workman’s compensation. Feel free to ask what the company’s insurance covers if you want peace of mind. 4. Do You Have a License? Any reputable company should be licensed to operate in Dubai. If they seem to avoid this question, move on with your search. Licensing helps ensure that you’re getting high-quality work from experts who know the job that they’re doing. If the job you’re looking for will also require plumbing or gas work, double check to see if they’re licensed for that as well. 5. What Happens If I Have Problems? You never want to have issues with a new machine, but you should plan for them just in case. Ask the company ahead of time what will happen if your machine breaks soon after installation. Is the machine under warranty? Is there a period of time when they provide repairs free of charge? You’ll want to know what your options are before you’re left without AC. Luckily, you don’t have to look far to find a great air conditioning company right here in the city. 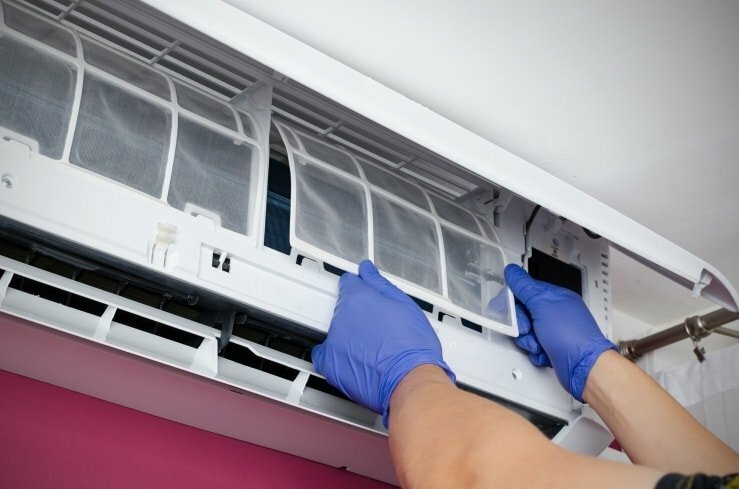 We provide highly trained technicians to install a variety of air conditioning systems. We have 15 years of experience in the business. Give us a call to find out how we can help you!